The original owner bought it in December 2009, then sold it to me in March 2012. It was well used but not abused. I love the patina and brassing around the edges which gives it extra character. 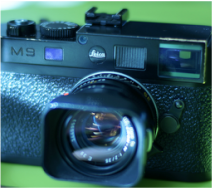 The white paint color of the "M9" has been removed and the red-dot Leica logo has been replaced with a black-dot to make the camera more "stealthy". A "Thumbs Up" and a leather half case with built-in grip greatly improve the ergonomics and how the camera fits in my hand. 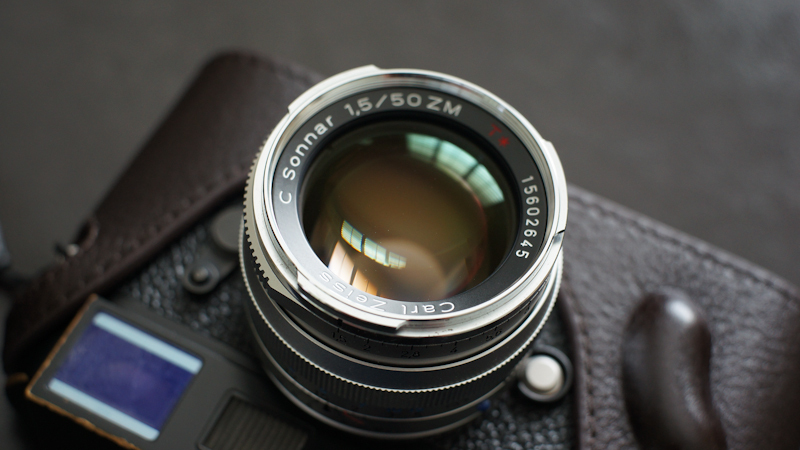 I love the standard 50mm FOV, and I suspect it was influenced by the beautiful rendering of this lens. A lens with dual personality, at f/1.5, it gives me the classical glow that I love, and when stopped down, it can be bitingly sharp. 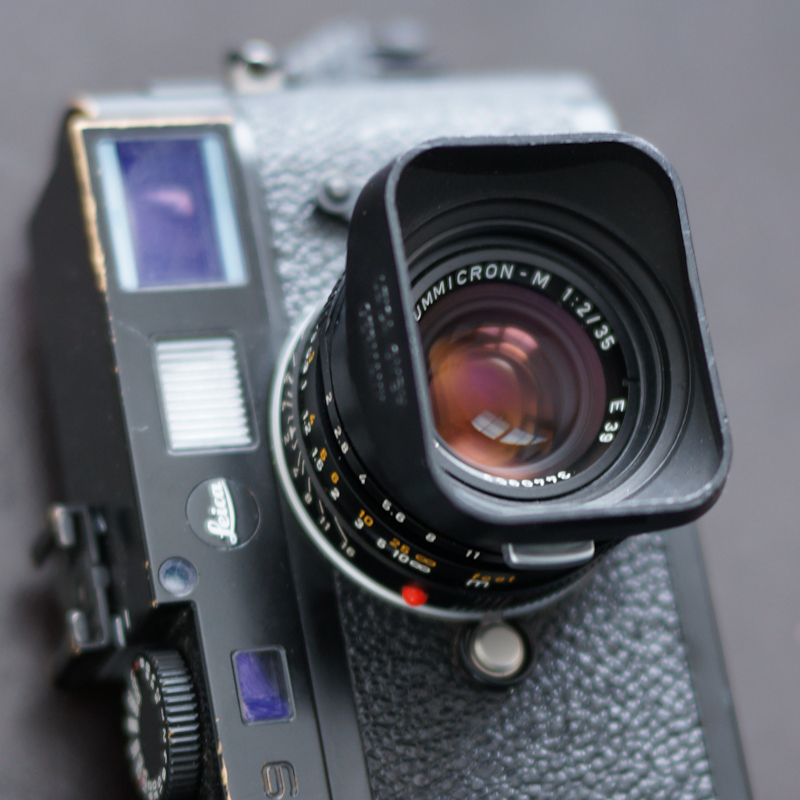 It is also very light weight and small (the "C" is for compact) when compared to other large aperture 50mm lenses. 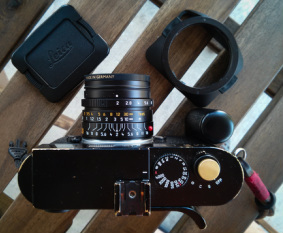 Unfortunately, I had to sell it to help fund the 50mm Summilux ASPH. But, I'm glad that Carl Zeiss decided to remake lenses with this classic design because it means more people will get to experience it, and it'll be easy for me to buy it back if I ever regret losing it. My thoughts on it [HERE]. Most often referred to as the "King of Bokeh"... any Leica owners will be tempted to own it, or at least give it a try. 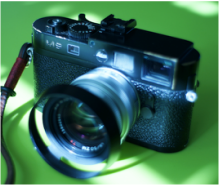 Putting its reputation aside, this is the smallest and lightest 35mm lens ever made by Leica, produces no visible distortion, has excellent ergonomics with the focus tab and its focus throw, and therefore it is best for travel or just carry-around lens. Check out what I had to say about it [HERE]. 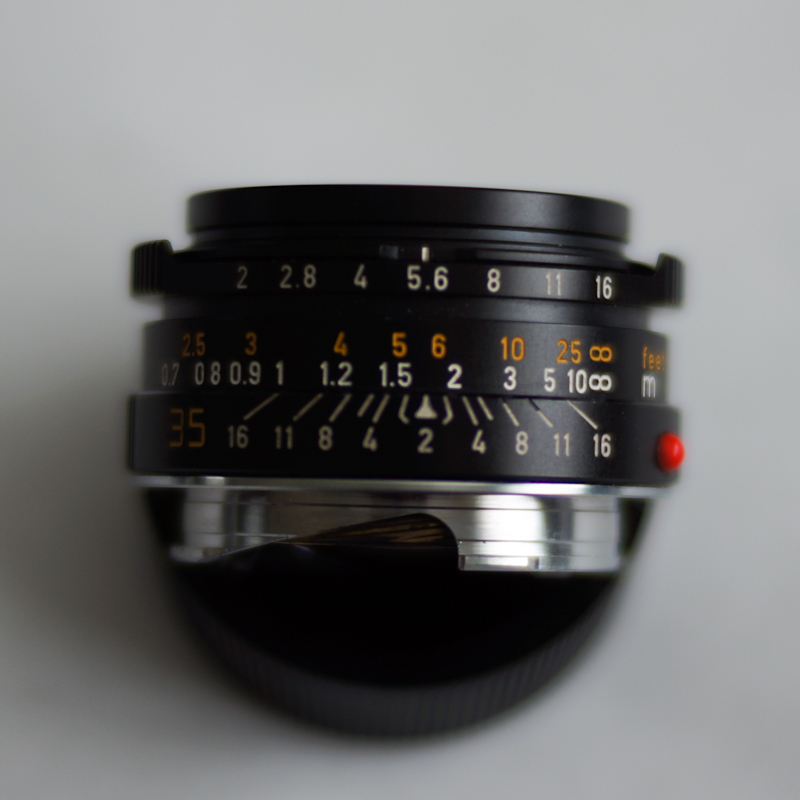 Truly, one of the best, if not THE BEST, 50mm lens ever made. With APO design, Aspherical element, and floating element to adjust for focus shift, you simply can't ask for a better designed mechanical wonder. And, that's all before you're floored by the images it renders. 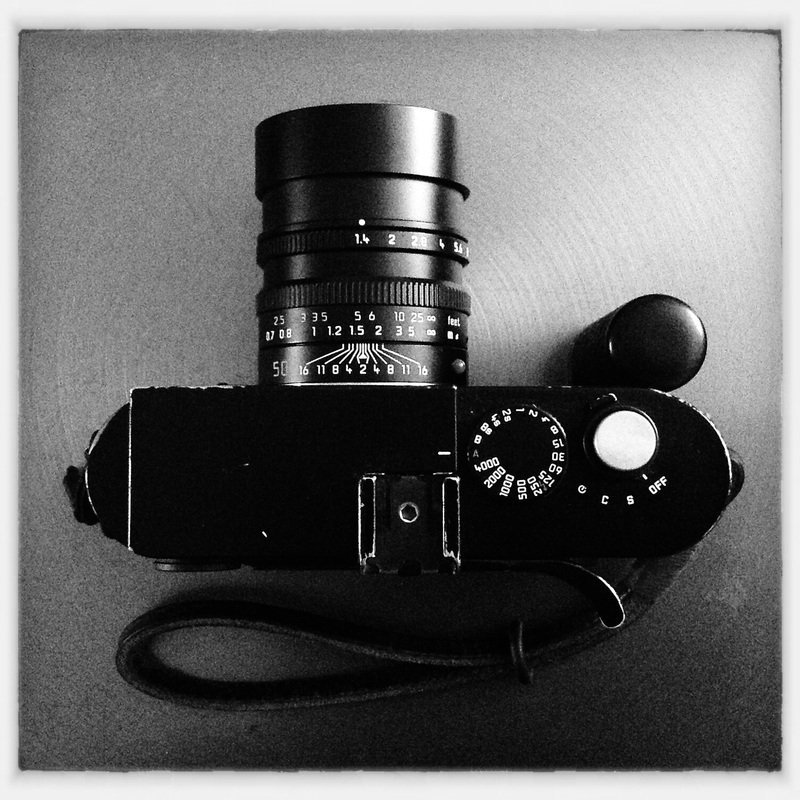 Classic and yet modern at the same time, it's a lens I will always keep, as long as I keep shooting with a Leica M-camera. That's just a summary of my review [HERE]. 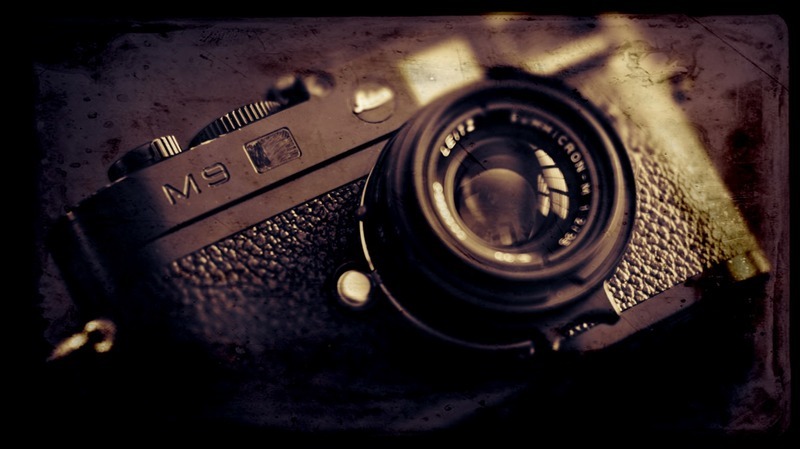 Excellent wide angle lens on the M9 without the need for an external viewfinder. There's no doubt you'll fall in love with its images, if you can get pass that enormous hood. I like its deep depth of field and natural vignette, an excellent pair with the 50'Lux. I'm using the smaller 35'Lux(pre-FLE) hood with it, much happier now. See more detailed review [HERE].